Phong and Blinn are the two most used lighting models in game development. The properties of the two have been debate a lot of time and I won’t discuss this here. See  to know why you should use Blinn rather than Phong when you do physically based rendering. The point of interest I would discuss is the relationship between Phong lobe shape and Blinn lobe shape. This relationship matter when you use image based lighting (IBL). In this case you generally have only one cubemap sample and can only emulate Phong shape highlight (see AMD Cubemapgen for physically based rendering). The problem come when you want to use IBL and try to match it with analytic Blinn lighting model use for direct lighting. The highlight shape don’t match. Here is a comparison between an analytic Phong (Left) and Blinn (Right) highlight with the same specular power (Click for high rez). Where is the specular power, is the Phong angle ( ) and is our unknown parameter. Finding the value of which best fit this equation will provide our relationship between Phong and Blinn. Yoshiharu Gotanda give 4.2 for the value of in . Frederick Fisher and Andrew Woo give 4 in . Following sections will discuss these results. To solve the equation I used Mathematica . Mathematica is one of those tools which became important to learn for modern graphic programmers. I provide all the Mathematica code I use in this post, so you can play with it. Step by step, we create a table of data with equation for x varying from to (as advice in , no need to go further than 90°). Then we use the FindFit method with our Phong/Blinn equation to try to find the value which best match our data. 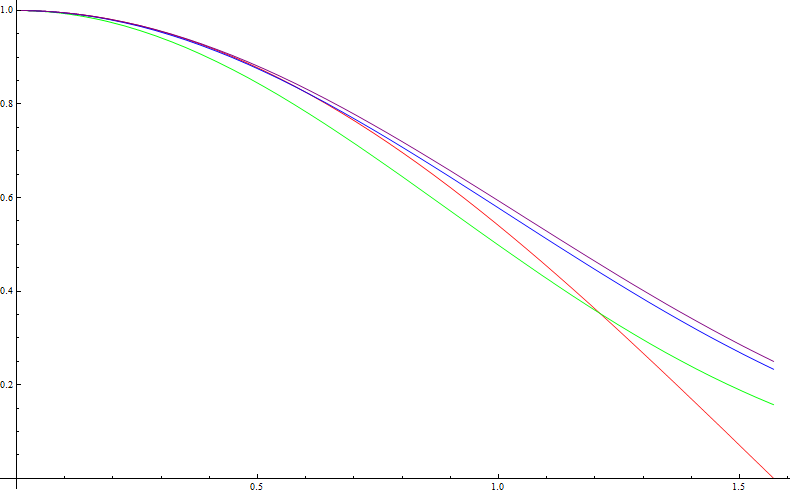 Then we can create a graph which will display best fit value for SpecularPower from 1 to 500. 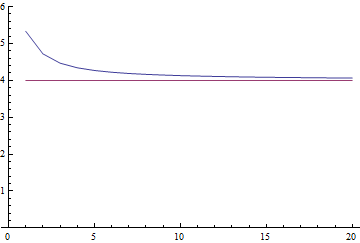 As we can see, there is a slope near SpecularPower 1 then the solution rapidly converge to 4. The SpecularPower of 0 is a degenerate case and is not handled here. We see on these graphs than we don’t have a unique value for . But 4 is a very good candidate when SpecularPower is high. 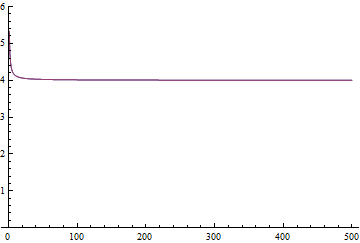 Let’s try to find a simple function which approximate this solution curve. For this we will apply FindFit again. The solution curve looks like a hyperbolic function of the form . This is a good candidate to give to FindFit. 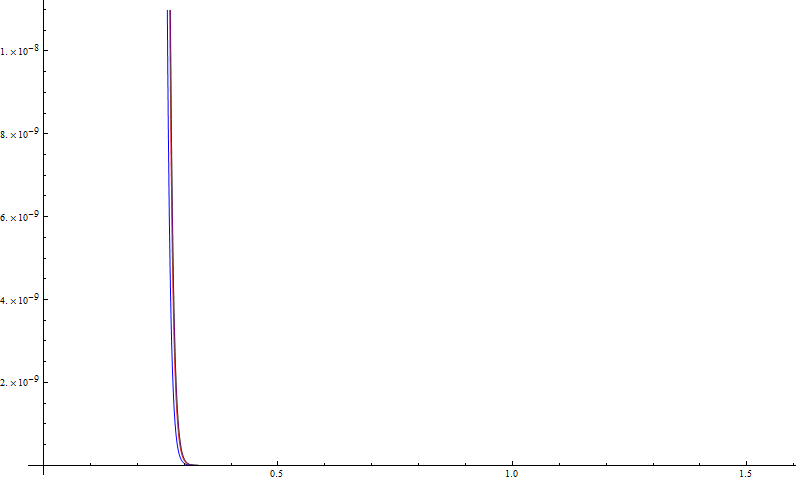 After some trial, I find the following hyperbolic function. 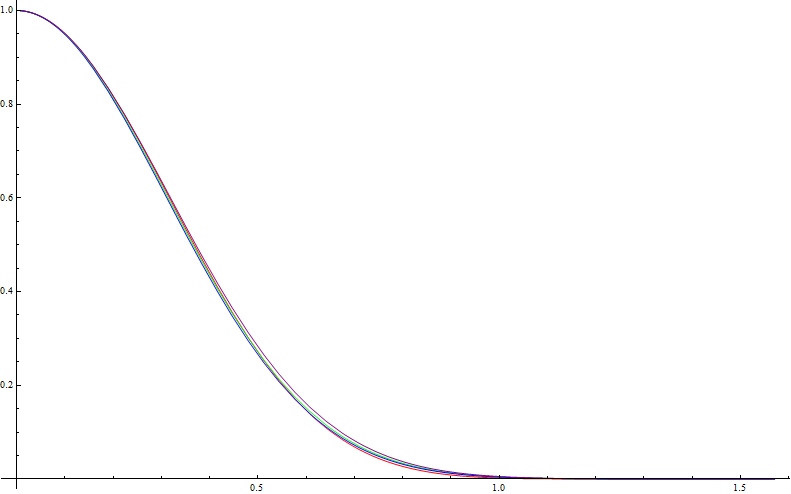 Rather good approximation (Curves match, so you see only one on the graphs). In the previous section we have found an approximate curve for the Phong and Blinn relationship. Here is a comparison between the reference, ,  and this curve. 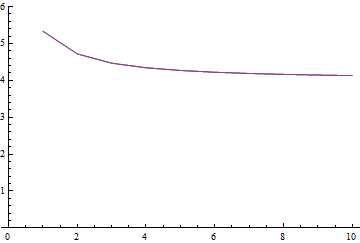 First some numerical value from the approximate curve for the first 20 SpecularPower, to compare with the 4 and 4.2 value of  and . The only noticeable difference appear when SpecularPower < 5. But should we care about this in practice ? Following are teapot rendered with Phong, Blinn, Blinn with approximate solution curve, Blinn with 4.0, Blinn with 4.2 (Click for high rez). – For Specular power > 10 there is almost no difference between candidates (with bright highligh as the teapot sample you can see small variation). And all candidates are good approximation. – For very low specular < 5, the result is bad anyway, whatever the candidate. This is due to the size of the highligh. Still the result usable as an approximation. 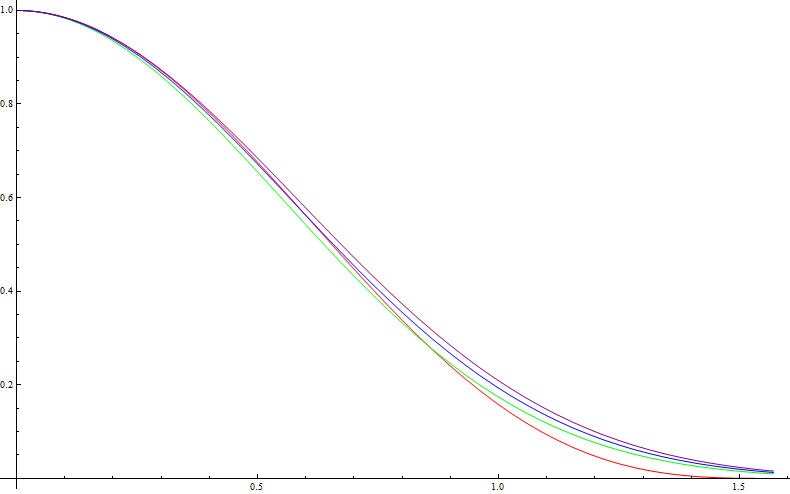 Next try a Minimax Polynomial fit (or even a Rational Minimax). You’ve got a bounded range, it should work fine. Small update: Add screenshot for specular power 5, 10, 1000, provide code and affine final result. If I may, those two models are strongly different from a conceptual point of view: one models the BRDF shape, the other one models the NDF. At grazing angle, a “Phong” lobe is completely istropic and a “Blinn-Phong lobe” is highly anisotropic. This should give you major visual differences even for medium specular power >5. You can easily see that on Wang’s paper (http://research.microsoft.com/en-us/um/people/jpwang/paper_stuffs/ppsg.pdf), especially on the supplement material (http://research.microsoft.com/en-us/um/people/jpwang/paper_stuffs/sg_supp.pdf), figure 9, where they try to approximate a “Blinn-Phong lobe” with an isotropic lobe (spherical gaussian lobe). The differences are obvious for grazing angles.